Level 4 Certificate in Sports Massage Therapy. Successful achievement of the qualification will allow the learner to gain employment within an organisational setting or alternatively in a self-employed environment. 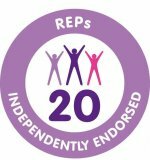 This qualification is accredited by Active IQ and is recognised by both the Register of Exercise Professionals (REPs) and CIMSPA. Students will have completed the Level 3 Certificate in Sports Massage Therapy or equivalent. You will need a CPR certificate to practise as an insured sports massage therapist but you do not need one to take this course. Minimum age 16. Call 01732 440581 /01732 304111 to book, or see ‘Contact Us’ tab.